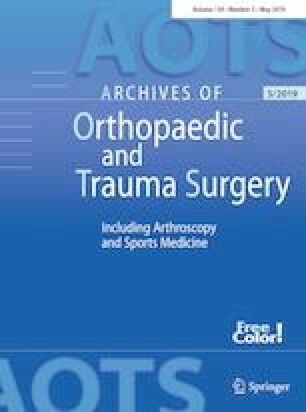 To evaluate the influence of the specific procedure performed and other variables on the intensity of acute postoperative pain following outpatient shoulder arthroscopy. One hundred patients undergoing outpatient shoulder arthroscopy under single-shot interscalene block plus general anaesthesia were prospectively studied. Acetaminophen with ibuprofen was prescribed for postoperative pain control and tramadol HCl as rescue medication. Patients scored pain intensity at 2, 6, and 24 h postoperatively. The influence of the surgical procedure, age, gender, surgery duration, and irrigation volume used on the intensity of postoperative pain was studied. Five patients were excluded due to ineffective block or protocol deviation. Among the 95 remaining patients, 51 underwent rotator cuff tear repair, 25 shoulder stabilisation, and 19 subacromial decompression. While there were no differences at 2 and 6 h after surgery, pain intensity was significantly higher among those undergoing rotator cuff tear repair (5.2, 1–10) at 24 h compared to stabilisation (4.1, 1–8) or subacromial decompression (5, 1–8) (p < 0.0001). No association was found between pain intensity and other variables. A higher degree of acute postoperative pain should be expected in patients undergoing arthroscopic rotator cuff tear repair compared to other arthroscopic shoulder procedures, and additional pain treatment is recommended. The Institutional Review Board of Hospital Universitario Fundación Jiménez Díaz (Universidad Autónoma de Madrid) approved the study (no. EO 05/2009).